Giraffe: The world’s tallest mammal is struggling to find space to live! Characterized by its long legs, long neck, and distinctive spotted pattern, many people first believed the giraffe was a cross between a leopard and a camel, which is reflected in its scientific name, Giraffa camelopardalis . 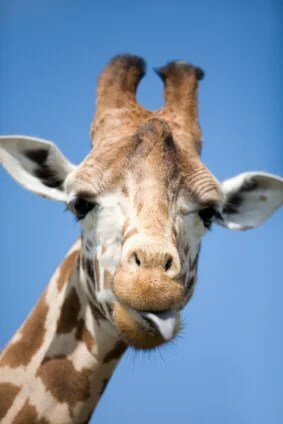 Female giraffes can become pregnant at 5 years old. They carry a baby for 15 months and give birth while standing up. Newborns are about 2 m (6 ft.) tall and weigh 70 kg (150 lb.). They live up to 25 years in the wild. 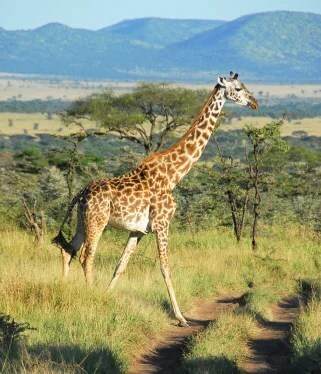 Giraffes are listed by IUCN’s Red List as a species of least concern. Due to a decreasing population trend, however, the IUCN intends to monitor their population status to determine if the animals shall be placed in a higher threat category in the near future. They face several threats, including loss of habitat due to logging for firewood. They are also hunted for their meat, hides, and tails, which are valued by many African tribes. 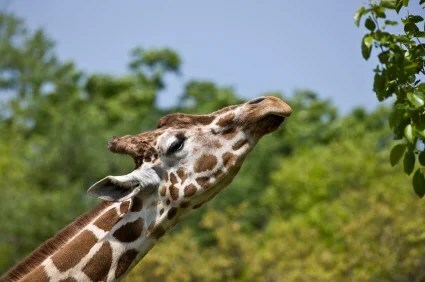 To help preserve giraffe populations, boycott products made with giraffe body parts and encourage others to do the same. Don’t buy products made with giraffe body parts; encourage others to do the same and speak out against acts that endanger giraffes.